With the first React application finished, Ryan takes a few minutes to answer some audience questions. He discusses the Webpack build process and how the output is generated. When you use the React.createClass method, you are creating a composite component. These components use a render() method to return the user interface elements. Ryan walks through the solution to Exercise 1. He also explains the ReactElement object in a little more detail. The propTypes property of a React component allows developers to declare the data type of each prop. Custom propTypes can also be created. Ryan gives a propTypes demonstration and also explains why specifying keys are helpful when working with arrays. After answering a couple audience questions, Ryan demonstrates the solution to Exercise 2. One way to add events to DOM element in React is within the JSX code. Events can be added inline as a prop. Custom parameters can be passed to event handlers by utilizing the bind() method. Ryan demonstrates this technique and answers a few audience questions about debugging. Generally, it’s better if components don’t have state and only function based on the props they are passed. However, when state is required, React has an API for setting the initial state and updating the state. Ryan creates a summary/details component to explain how React manages state. Ryan demonstrates how to keep the render() method “stateless”. By doing this, the component will render no matter what state is currently set. He also talks in more depth about the setState method and how it triggers a new render cycle. Ryan demonstrates the solution to Exercise 3. He also addresses a few questions about styles and the use of the bind method. Props and States can behave in similar ways. When to use a Prop versus a State depends on what you need to do with the data. Ryan explains the differences between Props, States and Stores and demonstrates why trying to manage multiple states can be problematic. Since managing multiple States for related objects can be confusing, Ryan walks through an example where he replaces the State management with PropsTypes. This way all toggle components will be managed by the parent. Ryan demonstrates the solution to Exercise 4. He also talks a little more in detail about why you would want the parent to control which tab is active and answers a few audience questions. Ryan begins his discussion about Flux by showing a diagram that illustrates what Flux provides. Action Creators spawned by events in the application will facilitate the communication with the server through web APIs. A Dispatcher will then complete the cycle through a system of callbacks to update any Stores and allow the change events to be processed by the UI. Ryan walks through the code of a simple application that uses Flux. He shows how each Action is created and how the UI is passed the data retrieved from the server. He also talks briefly about tokens and how they aid in the management of dependent Stores. Ryan begins explaining the solution to Exercise 5. After adding all the code for the solution to Exercise 5, Ryan walks through the solution one more time to reinforce the flow of data through the application. He also answers a few additional audience questions. Ryan helped develop React Router which is a complete routing library for React. He did this because he felt React was lacking many of the routing features he liked in Ember. Ryan first codes a routing example that doesn’t use any external libraries. Ryan continues to answer audience questions about the routing capabilities of React Router. Some of the questions include server-side rendering, transitions, and life-cycles. In this exercise, you will add a route to the “about” page above the new contact area. Ryan demonstrates the solution to Exercise 6. He also shows a couple examples of using animations with routes. Since completely rewriting an application with a new technology can be a hard sell, Ryan demonstrates how to migrate an application to React. The first step is to begin replacing existing components with React components. In this example, the existing components are built using Backbone.js. 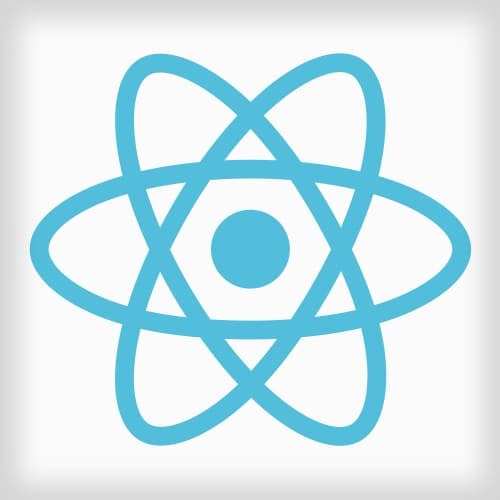 Ryan discusses a few things that can cause headaches when migrating to React. For example, since libraries like jQuery UI have components that manipulate the DOM. In this case, React may have issues referencing elements that have been added or removed. Wrapping a third-party component with a React component can make the migration easier. Ryan concludes the course by answering a few final audience questions.